Lately, I have felt very unorganized. That is quite an uncomfortable place, at least for me. It’s easy to get overwhelmed with commitments and duties. Perhaps even easier to become distracted and fail to care for what’s really important. Contentment is defined in the dictionary as "ease of mind." My mind is generally not at ease. I have not been the steward of my time that I should have been in the past. Organization puts things into perspective; often, my perspective has been skewed. My perspective needs to be pleasing to God and in line with what He wants for me. Most of today was spent in an effort to reorganize one specific area of my life. Other areas need to follow. It is time to make some changes and look ahead to fresh beginnings. Are there some areas of your life that are cluttering your time, keeping you from what’s most important? 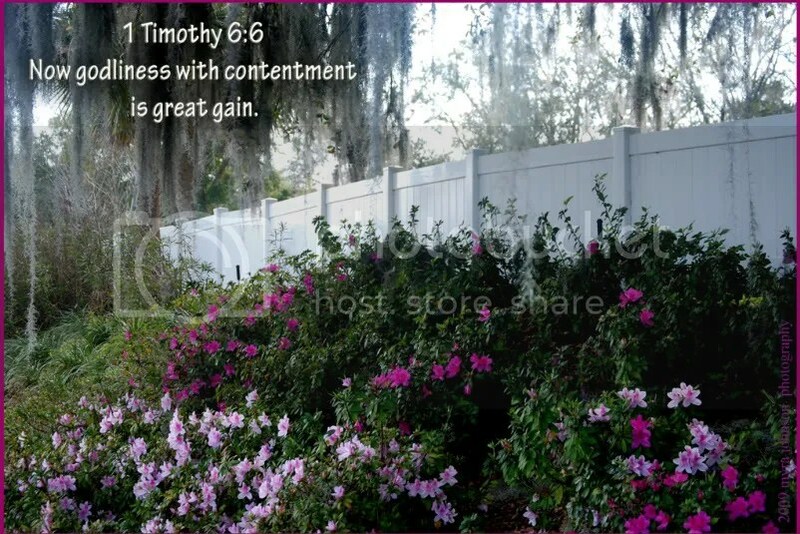 I Timothy 6:6 says, "Now godliness with contentment is great gain." Have you ever come to the place where you felt there was just nothing more you could about a certain situation? Perhaps a serious illness, a broken relationship or a personal challenge of some sort. Sometimes we come to the end of ourselves. That doesn’t have to be a bad thing. If we look to God in those moments and say, "There’s nothing more I can do. You are the only One who can take care of this. 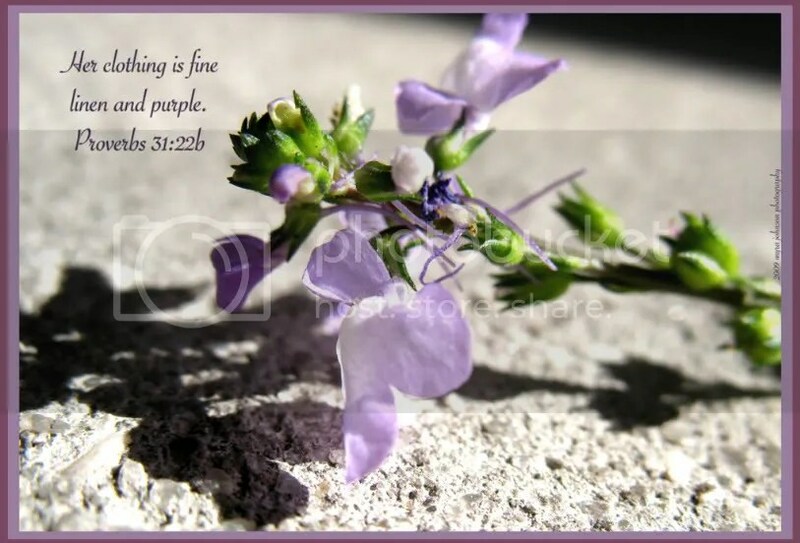 I am weak, but You are strong," we are trusting that He will do what is best for us. Strength is not a problem for God. He is the author of power. 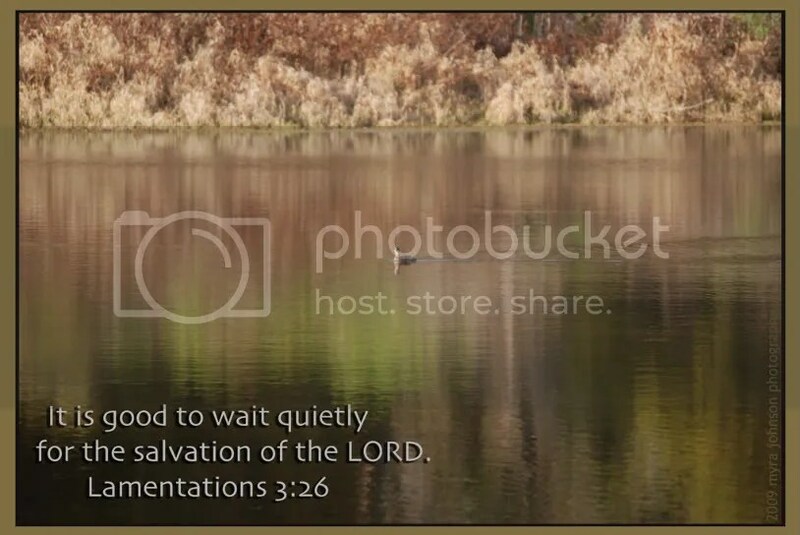 Often, we must wait as we watch expectantly for His salvation in the matter. 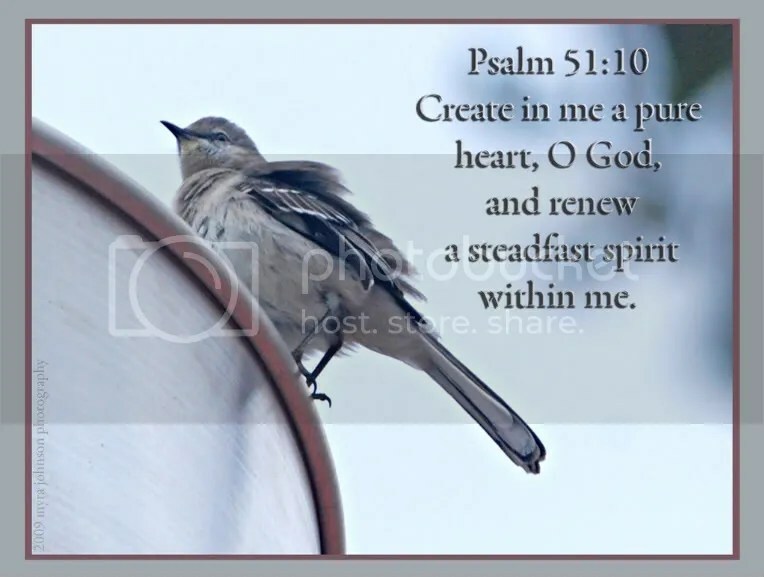 Keeping focus on His faithfulness will lift us up above despair at crucial moments. It is good to wait quietly……. It was last Sunday morning. As I was watching a children’s drama at the church I attend, a little kindergartener wanted to sit near me. At the end of the presentation, the woman on the platform told the boys and girls it was time to pray. She asked them to fold their hands in front of them. Since the children were being asked to do this, I decided that I, too, would clasp my hands as an example of following the instructions given. Bowing our heads to pray, I felt something. The child sitting with me had slipped her hand between mine, as they were folded for prayer. Not only are we, as adults, examples for the young to observe, but we are leaders for them to join with in the tremendous journey of our lives. If you sing, I’ll sing. If you watch, I’ll watch. 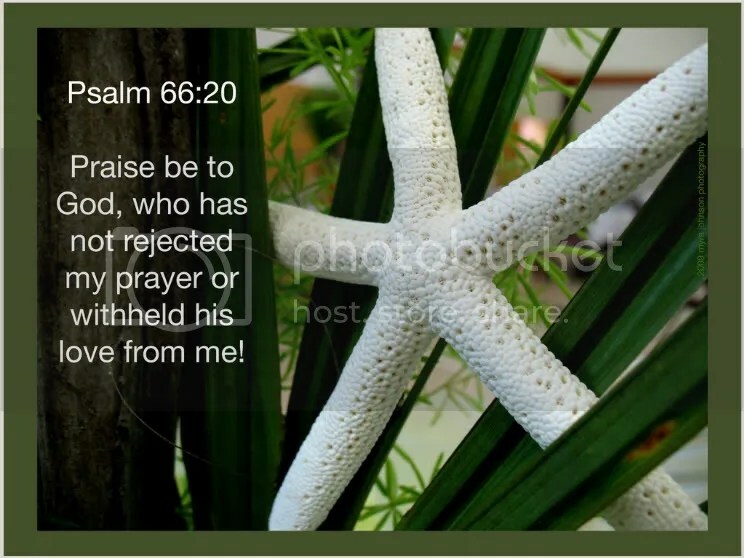 If you pray…..I’ll pray. What a wonderful privilege we have to lead the way for others to follow. In the last chapter of Proverbs, we find verses 10 to 31 devoted to describing an excellent wife. Some time ago, I went through these verses and highlighted the verbs. What exactly does the "Proverbs 31" woman do? All of this is good, but what about guarding spiritual things? Do I carefully keep watch over my relationship with God? Do I "lock the door" to keep temptation from stepping in easily? Do I make decisions based on what will keep my faithwalk healthy and safe? Do I guard my heart, my innermost being? My husband and I decided to take a leisurely walk down Central Avenue. The traffic was light; the temperature was mild. 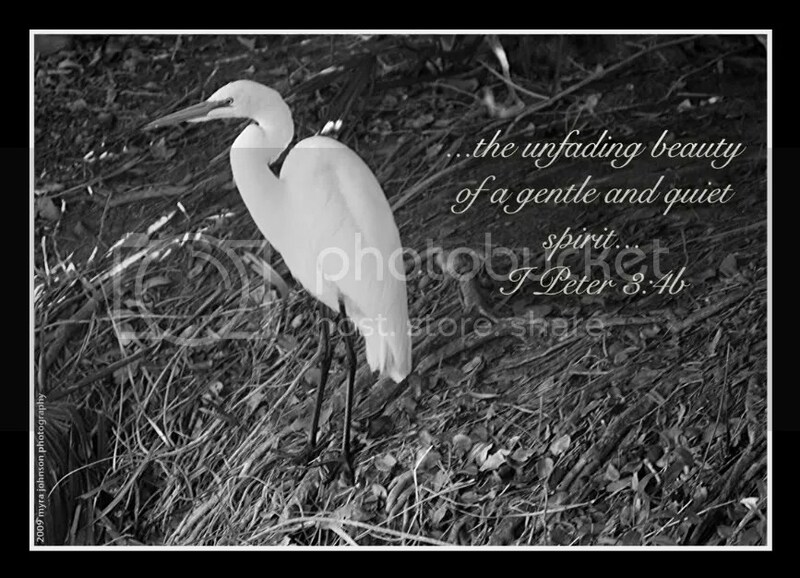 As we strolled along, my husband suddenly spotted a pure white bird, standing quietly in the underbrush near the sidewalk. It was so still and peaceful–graceful, yet confident looking, as well. If I could really know how others view me, would they describe me as being peaceful? Graceful, yet confident? Quiet? Even through the assertiveness that I might choose to display at certain appropriate times, would they discern an inner sense of calm gentleness? If not, why not? I Peter 3:3,4 says, "Your beauty should not come from outward adornment, such as braided hair and the wearing of gold jewelry and fine clothes. Instead, it should be that of your inner self, the unfading beauty of a gentle and quiet spirit, which is of great worth in God’s sight." Ma’owz. 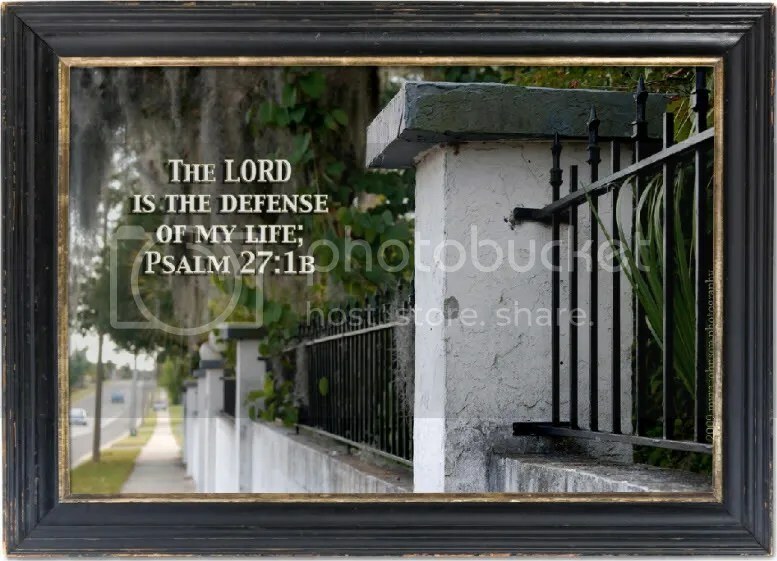 That’s the Hebrew word for defense in Psalm 27:1. Where do you need protection today? Does your marriage need a place of safety, sheltered from the darts of Satan? 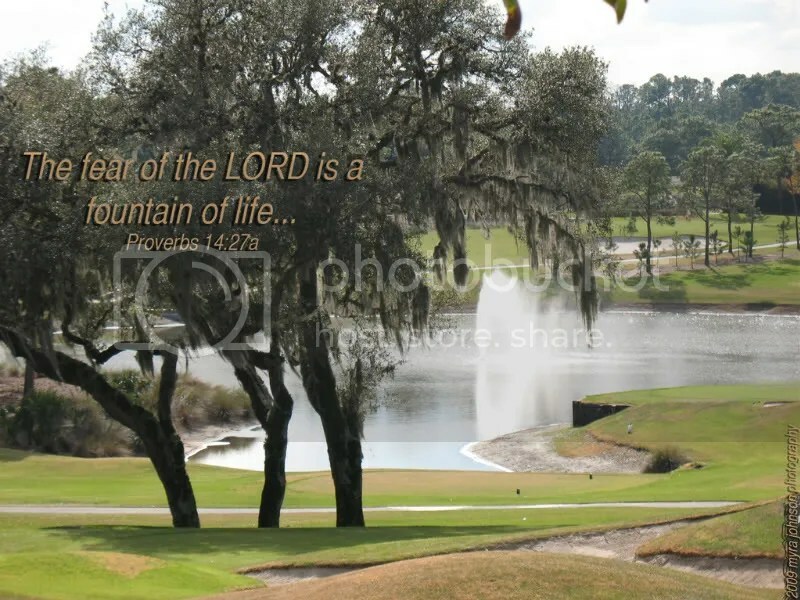 Does your family need a place of refuge from tension and strife? Do you need a stronghold to grasp in the midst of job uncertainty? God will be all of these to you, and more. Ask yourself what part of your life is in need of protection. In that area, is there anything to dread if God is in control? Imagine walking through a museum and contemplating fine masterpieces one at a time—slowly, carefully. Quietly taking in every nuance, every brush stroke. With thoughts still lingering in your mind from one beautiful work of art, you encounter yet another. Finally, it’s time to go home. As you leave the stillness of the building behind, impressions entertwined with emotion are accompanying you.Somehow, a small part of you has subtly changed through what you’ve just experienced. I did not visit a museum today, yet I had much to ponder. Through the generosity of a friend, I attended a benefit brunch for a local women’s shelter. The speakers were transparant and sincere. The music was touching. God was displaying His work for me to consider as I learned of the desparate needs of women in the area and His continued faithfulness in their lives. Late afternoon found me walking with my husband down the main street of a nearby town, noticing birds and flowers, fences and lawns. It was a time to appreciate the calm beauty of our surroundings. My next stop was an awards banquet for educators in the school system. A select group of teachers were being honored for their dedication, passion and fervor for investing in the lives of their students. The stewardship of young lives seemed to lace most of the comments of the evening. There was much to contemplate. At the conclusion of the banquet, I drove to the local YMCA for a county wide youth gathering of about 200 teenagers. After the speaker concluded his message, I had the wonderful privelege of praying with a couple of students who were feeling God tug on their hearts. You shall not see your countryman’s ox or his sheep straying away, and pay no attention to them; you shall certainly bring them back to your countryman. 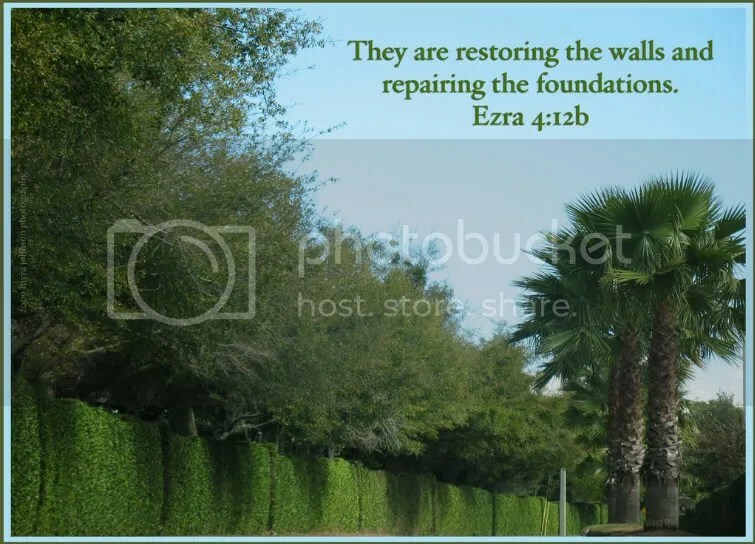 If your countryman is not near you, or if you do not know him, then you shall bring it home to your house, and it shall remain with you until your countryman looks for it; then you shall restore it to him. Thus you shall do with his donkey, and you shall do the same with his garment, and you shall do likewise with anything lost by your countryman, which he has lost and you have found. You are not allowed to neglect them. You shall not see your countryman’s donkey or his ox fallen down on the way, and pay no attention to them; you shall certainly help him to raise them up. With the experiences of the day fresh on my mind, I wasn’t considering oxen or sheep. I thought of straying people—sons, daughters, students—anyone. Who should be responsible to "bring back" those that we see are drifting down the wrong path? Who should take them into "their own house" and care for them until they can be restored? Are we to care for women in need of a shelter? A student in need of encouragement? As the opportunity is given, we may choose to come along side those that are straying. 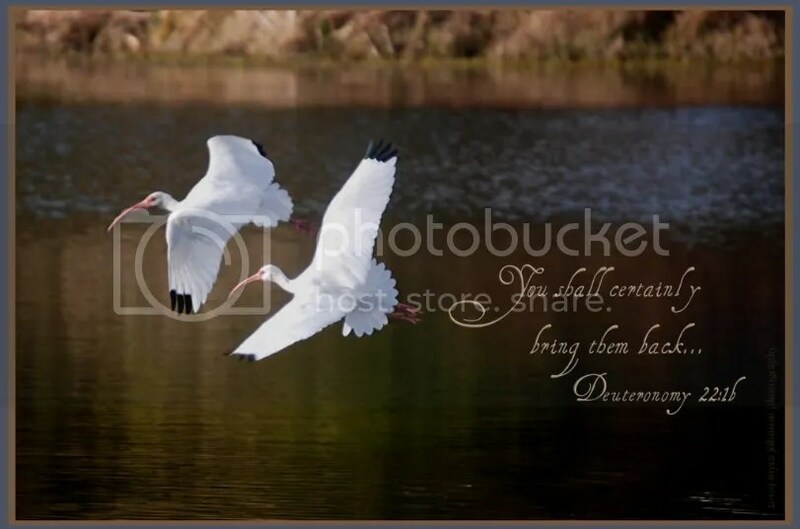 Meeting them where they are, and with loving guidance from God, we can then begin the process of bringing them back. 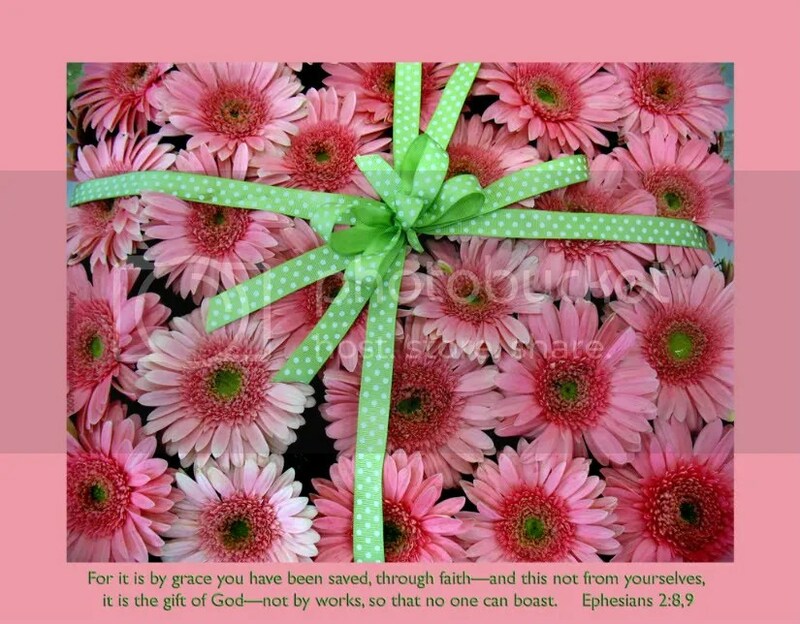 of his grace, expressed in his kindness to us in Christ Jesus. One of my favorite "current" songs on the radio now is performed by three vocalists–Toby Mac, Kirk Franklin and Mandisa. The recurring line throughout is, "I don’t want to gain the whole world and lose my soul." 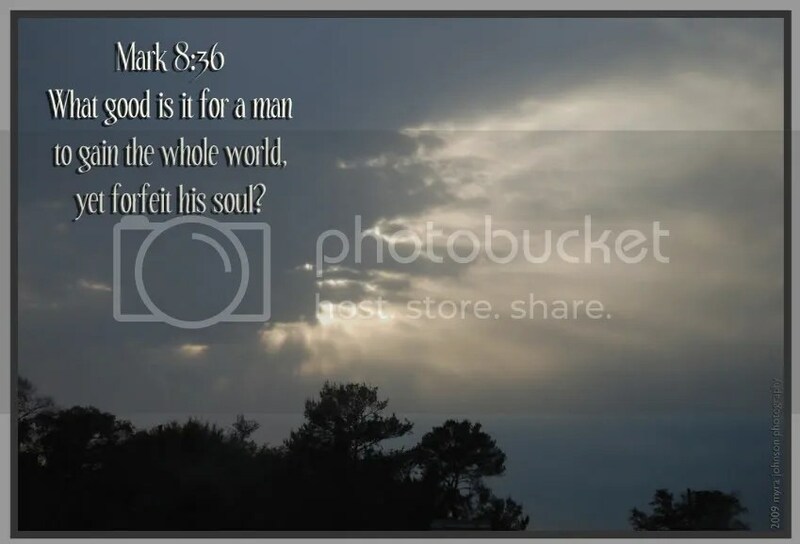 They are referring to the scripture found in Mark, chapter eight, verse thirty-six, which reads, "What good is it for a man to gain the whole world and forfeit his soul?" Toward the end of the piece, the lyrics proclaim, "All eyes are on You, Jesus." As I drove to work this morning, I was filled with emotion when I heard that particular line once more as it was played on the airwaves. All eyes will one day look upon Jesus, my Savior. At the end of the day, driving home almost twelve hours later, the same song came on the evening broadcast. I reflected again on it’s message. When time as we know it is complete, and all eyes are on Jesus, what good will it have done to ___________, if we have forfeited our own soul for etenity? What would YOU put in the blank? Without God, would we possess any strength at all? Without God, would peace, in any form, be possible? May God strengthen you today, and grant your heart a peace and calmness that can only be explained as His loving grace being poured out in abundance on you. It’s definitely an unusual place to live. If I were to get into my car and drive east for about an hour and a half, I’d have to stop. The Atlantic ocean would insist. If I were to get into my car and drive west for about an hour and a half, I’d have to stop. The Gulf of Mexico, being long time friends with the east coast Atlantic, would take the same position on the matter and insist upon my stopping. I really enjoy living where I do for many reasons. Being a tropical sort of climate, many animals frequent my every day existance. With a lack of hills or mountains, the sky can seem so big at times. At sundown this evening, a patch of cloud not matching its surroundings caught my eye. Look at the photo below and just try to imagine being on the shore near the ocean. Let the trees fade away. Pretend that the orange blanket you see is the vast water before you. A huge wave is approaching, slightly to your left. It’s rolling relentlessly toward you. Do you see it? The "wave" in the sunset was a bright yellow-orange color, coming out of nowhere. Since God has created all things, I know that He knows all about everything. When I see a spider weave a design in its web that is exactly the pattern on its back. that tells me something. When I see the sunset look like a giant wave in a never ending sea, it tells me the same thing: God knows what it ALL looks like and He can create a sunset that mirrors anything He chooses. 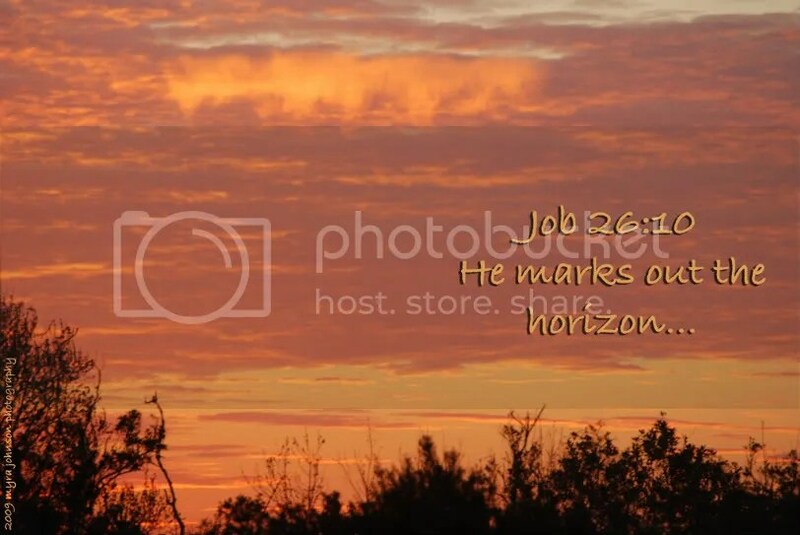 He truly does mark out the horizon. 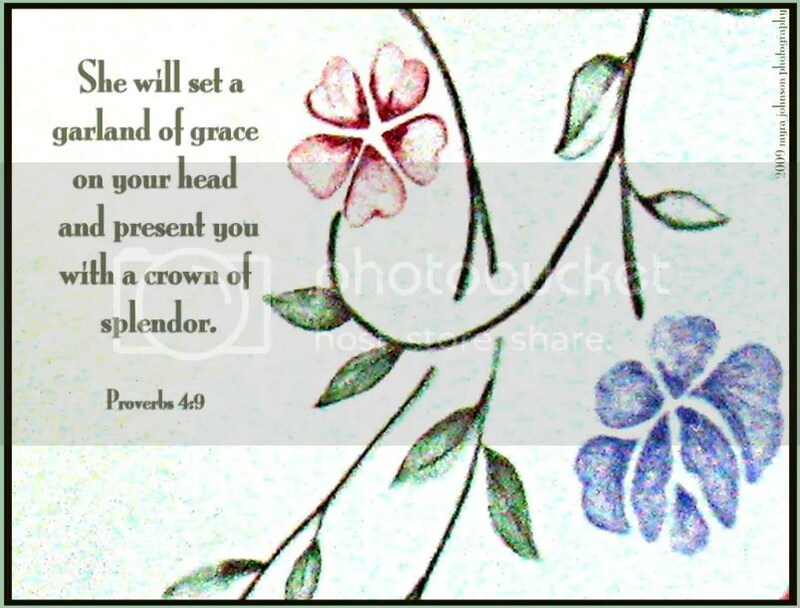 He blesses us with its beauty, giving it freely to all. 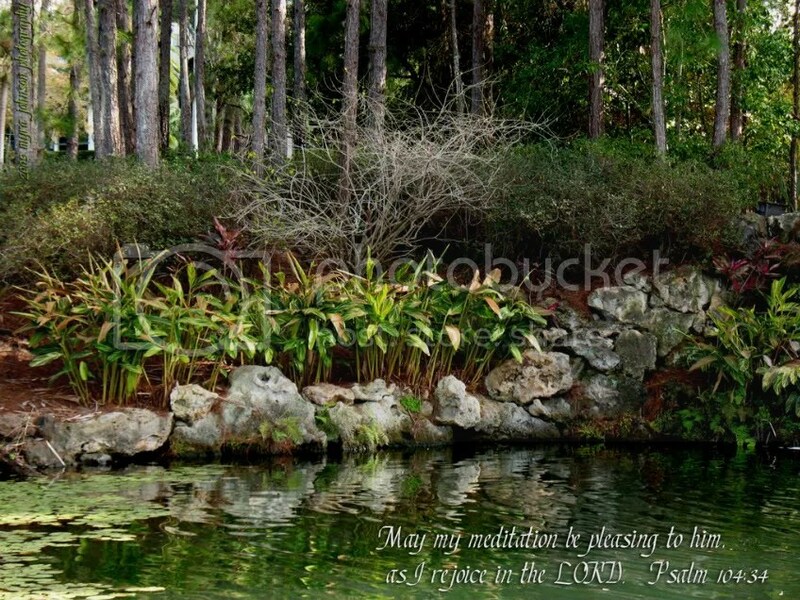 May my continued or extended thought; reflection; contemplation, and spiritual introspection be to the pleasure or will of Him as I take delight in the LORD. Just three words–meditation, pleasing and rejoice—can be expounded upon to bring out a clearer meaning. Is my extended thought pleasing to the Lord? Throughout all the confusing thoughts, the doubtful thoughts, the trying times…..I may choose to rejoice in the Lord; in His goodness and His faithfulness. It was one of those overcast afternoons, gray and bleak. I noticed a bird sitting on some sort of pan on the rooftop of a church. All alone, he was contented—or perhaps, determined—to remain on his lookout point. As he turned his head this way and that, a current of wind began to ruffle his feathers. Still, he continued on at his post. To actually ruffle feathers, which normally you would do only on a living bird, you disturb their nicely arranged position on the bird’s body by running your hand or some other implement through the feathers. 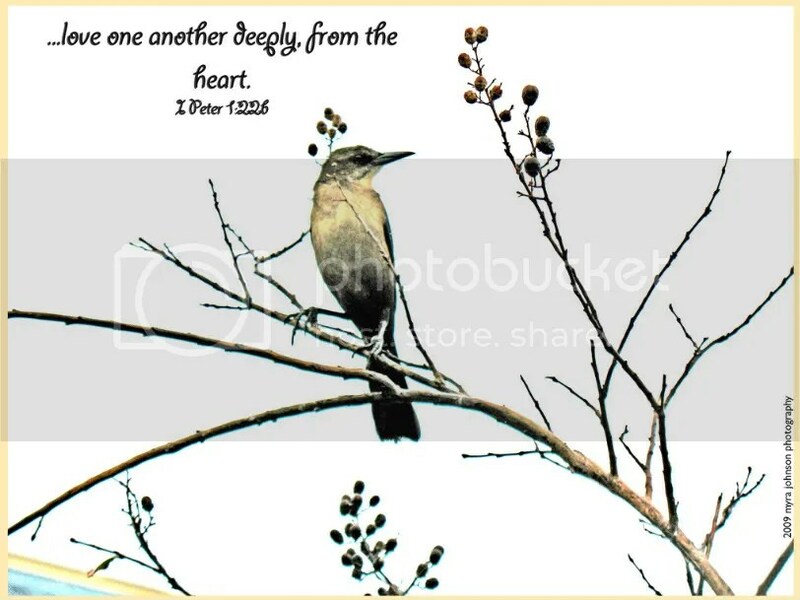 The author went on to say that birds do not like having their feathers ruffled by someone other than themselves. The bird I was watching was certainly in the path of quite a movement of air. It was definitely disturbing the nicely arranged position of the feathers. For whatever reason, he decided to stay exposed to the wind for a little longer. You might say he was "steadfast." 4. firmly fixed in place or position. For whatever reason, my bird friend wanted to stay just where he was, wind or not. Ruffled feathers? Well, that just must have been expected, given the circumstances at hand. Personally, I hope to be steadfast in my walk with God. As I live out each day, I want to be unwavering and firm in purpose. That sounds great, but what if the wind kicks up? What if my "feathers" get ruffled? Will I quit trying? Just give up? Things in my life are not always going to be neatly arranged in perfect, comfortable order. The question is, will I choose to remain firm in the purpose that God has shown me? With His help, I will. Have your feathers been ruffled recently? I had noticed the sunset’s rays on the trees past the parking lot of the store I was in. The soft, orange tint created a delicate nuance around the shopping center. As I headed for home, the sun was well beyond the horizon. About halfway through the trip, I suddenly noticed the sky above me. The formations and the colors were so striking! I couldn’t remember having ever seen anything quite like it. I began to look for a place to pull over, so I could take a picture of such a beautiful scene. I turned into a quiet subdivision that was settled down for the night. No one was in sight. Only the enormous clouds forming a canopy over every housetop, street light and tree. I took a few photos, got back into the car and left, unoticed. The massive cloud formation, the glowing colors, the brightness of the final sunbeams of the day, the deep, velvet blue backdrop showcasing the light from a singular planet somewhere in the vastness of space—–these are the works of God’s hands, proclaiming His invisible attributes, His eternal power and His divine nature. Resting far above that sleepy little community of houses was a visual testimony of God’s sovereign covering of protection over us. Think of some appliances or tools that you own. A washing machine, a toaster, an electric drill, an air compressor. If any of these items became disfunctional–what would you do? If the washing machine chose random days to "skip" the rinse cycle and leave your clothing filled with sudz, you would probably stop trusting it to do anything at all. It would be the same with a toaster that burned sliced bread even when it was set to "light." What about a drill that overheated time and again? An air compressor that sat silently when it was plugged in? All of these items would have one thing in common–their unreliability. God’s faithfulness to us is ever to be trusted. We may go to Him for strength, support and shelter from all that assails us. 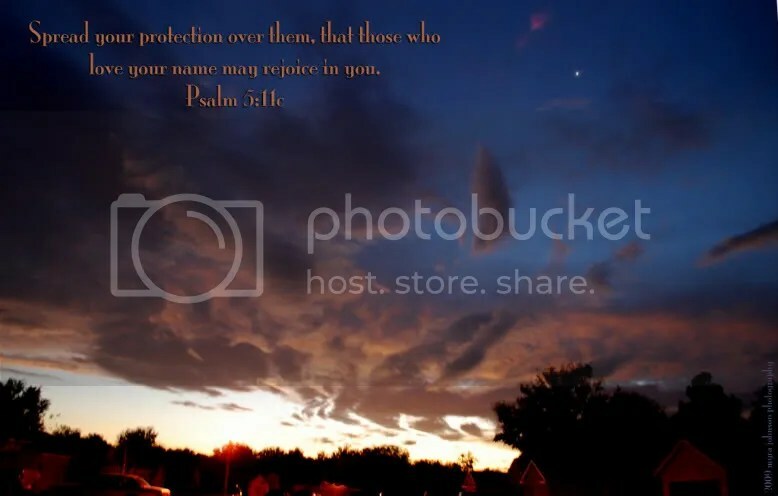 He will cover us, again and again, with a divine shield of protection that will never fail us. If your home is anything like mine, you are well aquainted with what can happen if certain areas are neglected. A shower that is overdue for cleaning sports a new crop of mold and mildew. Dishes that were never washed seem to multiply by the next meal time. An ignored shelf grows a blanket of dust that clings to the many artifacts that reside upon it. When things are clean and in order around the house, I tend to feel a sense of accomplishment and freedom. Dirt and clutter dim my mood as they try to convince me that they are actually mirroring the untidiness of my life. Silencing their voices by reclaiming order and cleanliness makes for a much happier mindset. My home should be a place where I am comfortable; a place where I feel safe within its walls. There’s just something about making things look like new again or restoring them to their rightful condition. We are pleased with the outcome. Where neglect can be easily seen in an unswept porch or a dirty sink, it is less noticeable when it comes to matters of the heart. When relationships are in order, we feel a sense of freedom. Nagging thoughts of failure and discouragement are put to rest. We feel comfortable emotionally as well as spiritually. I am identifying several areas that need to be reclaimed, restored and renewed within my network of personal relationships. Mold has crept in, dust has accumulated and distances have become too great to ignore. When was the last time I called my sister? How much time did I really take to listen to my son tell of his day’s experiences? Did I work to polish the bonds of my marriage with words of kindness and consideration? It’s time to make an assessment of needed repairs so that I might move forward in this internal spring cleaning. Some time ago, I read a book by Stasi Eldredge titled, "Captivating." Midway through the book, she relates an incident where she was longing for a special gift from God—something that he might reveal to assure her of His love. John, her husband, had been on the beach years before, having a quiet time with God. He had sighted a massive humpback whale, very close to the shore, right in front of him. He had felt that seeing such a creature was a gift from God–one that was showing His love for him. Stasi now wished for such a thing. She, too, was walking along the beach. She prayed and asked God for a whale. None came. As she walked on in the sand, she came upon a beautiful starfish. She felt that this was God’s answer to her prayer. She didn’t get a whale, but God had allowed her to find this beautiful creature. 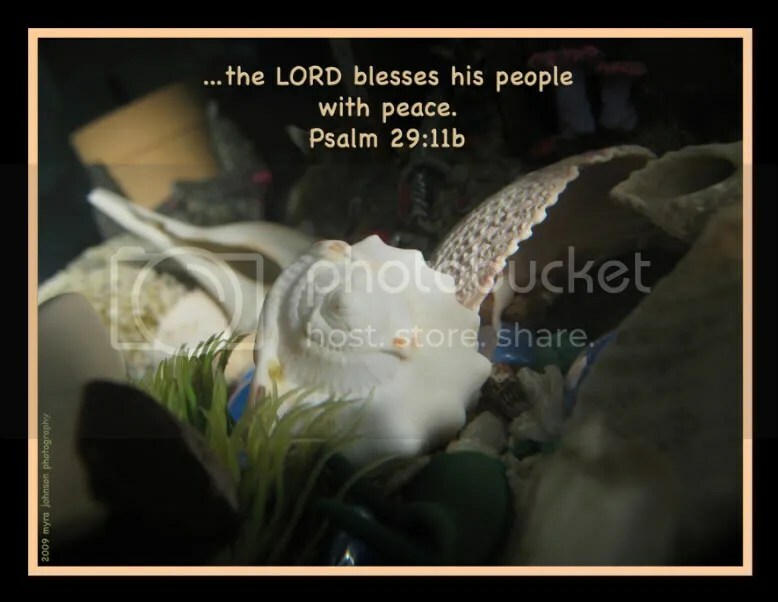 She thanked God for it and walked on around the bend, only to find hundreds of starfish! All sizes and colors. At that moment, she knew God loved her SO much. Her heart was filled with joy. I have known this mix of awe and joy. God has shown me His love in many ways. He has not forgotten me. His ear is forever tuned to my prayer. He loves YOU just as much. Have you seen any starfish lately? 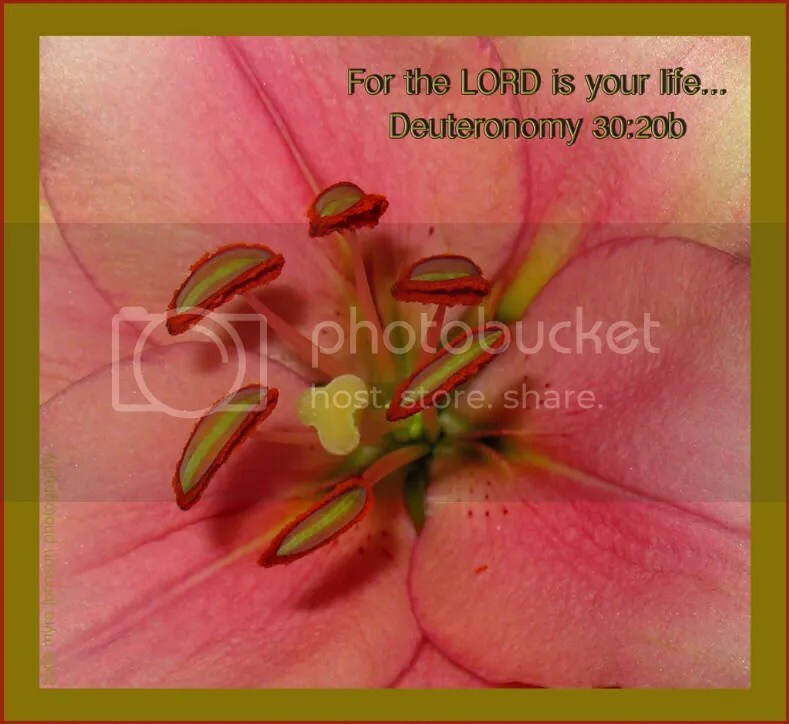 but the word of the Lord stands forever." Each of us travels a singular path apart from everyone else. Our life experiences in their entirety are known completely only by us—and God. 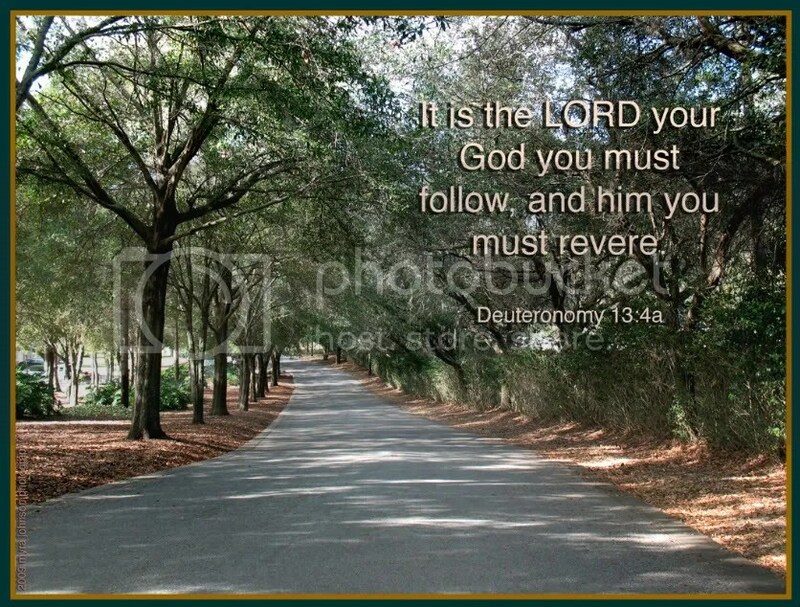 The journey that He maps for us is a personal one, filled with specific directions and unexpected detours. About a month ago, I was speaking to someone about my life and the need for change. I mentioned that I was seeing some situations more clearly, as though I had put on sunglasses that had removed the glare from my mental view. Just last weekend, I attended a women’s conference. The speaker made a remark similar to, "Put on your glasses and don’t waste another minute of your life…" Those words probably rested quietly on the ears of the other women attending that day, but for me, they were trumpeted out with great fanfare. What was God wanting me to see? *What are we waiting for? *Why are we rushing around the same course we’ve been following for years, getting nowhere fast? *Am I really content to live the rest of my life the way things are right now? *What do I want out of life? *What is expected of me? *What is my purpose for living? God is asking me some questions. Now, I must search my heart for the answers. I have a path to travel, and it is God that I must follow. Your family, your job—your hobby? I used to love to roast marshmallows over an open fire when I was a kid. I didn’t go camping. My mother had a gas cooking stove in the kitchen with blue flames. I would put a plump, white marshmallow on a fork and hold it above the fire. It would toast to a nice, light tan color on the outside. On the inside, a lucious, melted goo awaited my happy lips. There were times when I didn’t quite get the timing right on the in-home gas stove roasting procedure. Inevitably, I would find myself with a burned marshmallow. One side would be okay, but another side would be dark and crumbly. It wasn’t suitable for eating. It was a loss. Certain things in our lives are incredibly important to us. Our families, our jobs and our hobbies. Could we have any of them apart from God? He is at this moment sustaining our very existance. It is He that blessed us with employment. It is He that combines joy and talent together in a mix that brings creativity to the surface in a hobby. Without God, we have nothing. While we may hold a firm grip on those people, things, or activities that bring us joy, the are not "our life." Each of us is alone to himself, yet in the company of God. 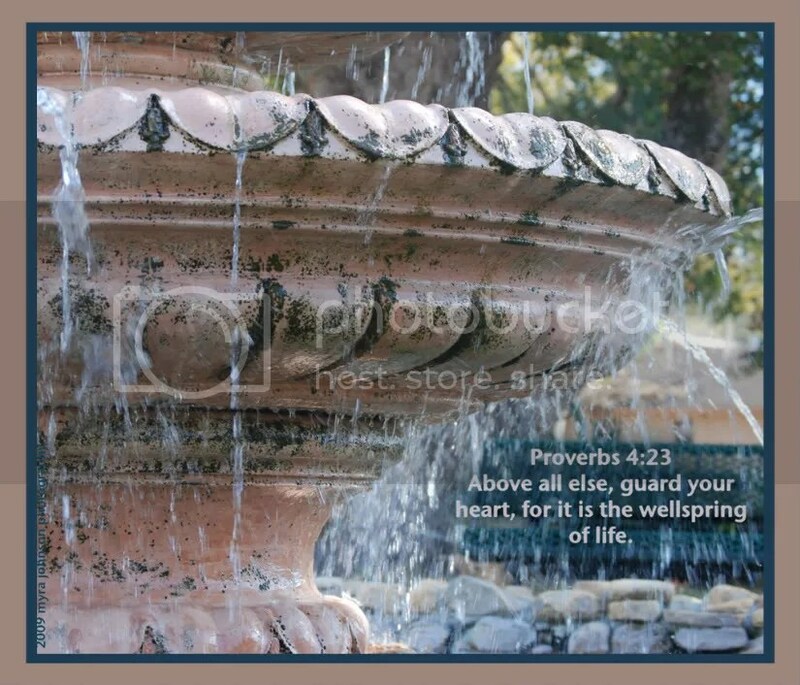 Certain attributes in our character are being revealed by God is His time. Part of what we thought we always were is being crumbled off after we have gone through the heating process. Though we wish that part was usable, it is not. God will remove the damaged area so that the nice, toasty part of our lives can be used. If He is my life, I will continually grow in learning how to recognize His presence and trust Him when the "crumbly parts" are falling away. Some days are just great. Everything is in order and life looks rosy. Then, of course, there are other days…. There are times in everyone’s life when conditions are less than clear, the future seems confusing and uneasiness is the emotional order of the day. We all have our unscheduled appointments with doubt. When fear creeps in quietly around the corner of our minds, how can we confront it? 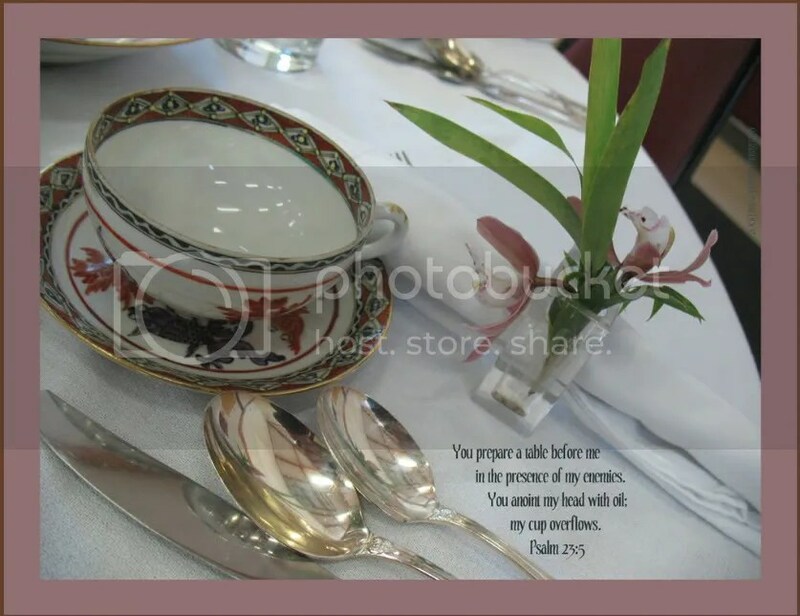 Reminders of God’s past faithfulness and the promises of His everlasting love will help to calm our concerns. It is God who can change how everything has always seemed to be and make it into something completely new. 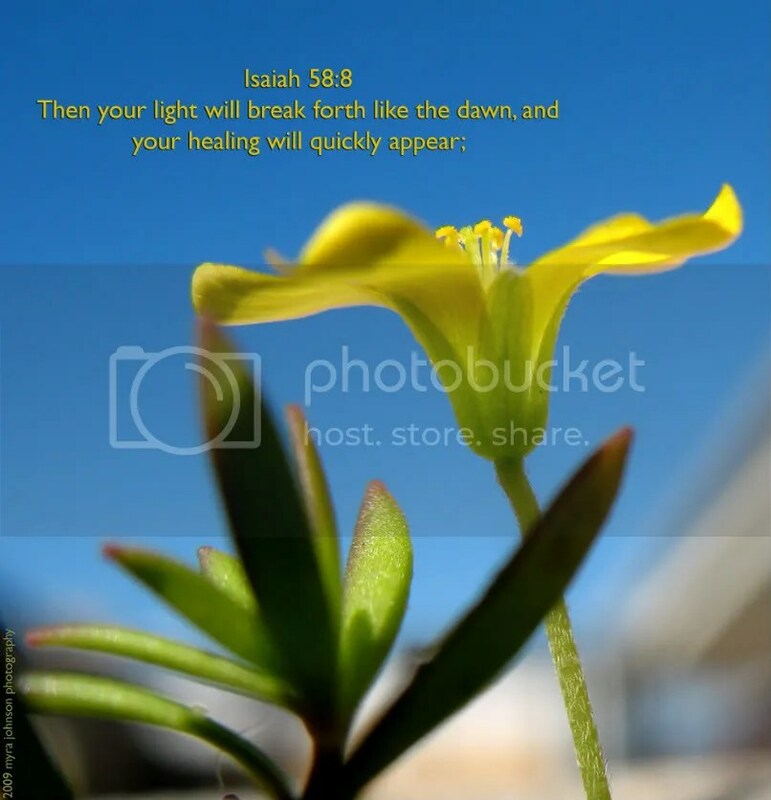 It is God who can bring life to situations that seem long dead and hopeless. He makes "a way in the desert" and "streams in the wasteland." For me, personally, I happen to own some emotional property in the wasteland. Come to think of it, I’ve also been getting lost in the desert lately, with worry as my contented companion. 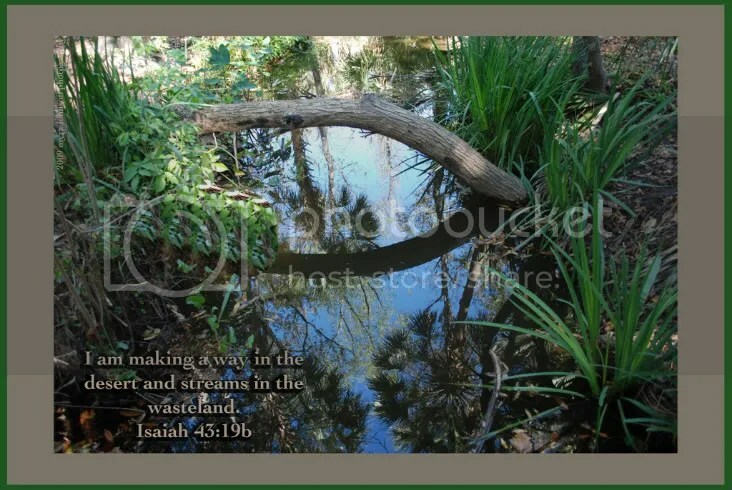 I am very ready to find God’s way in the twisting sand beneath my feet and to discover the stream He will provide for me in the barren wasteland of my soul. I heard someone say that when they are having a hard day at work, they go out to their car and read the Bible. Through their reading, God gives them the strength to go on. 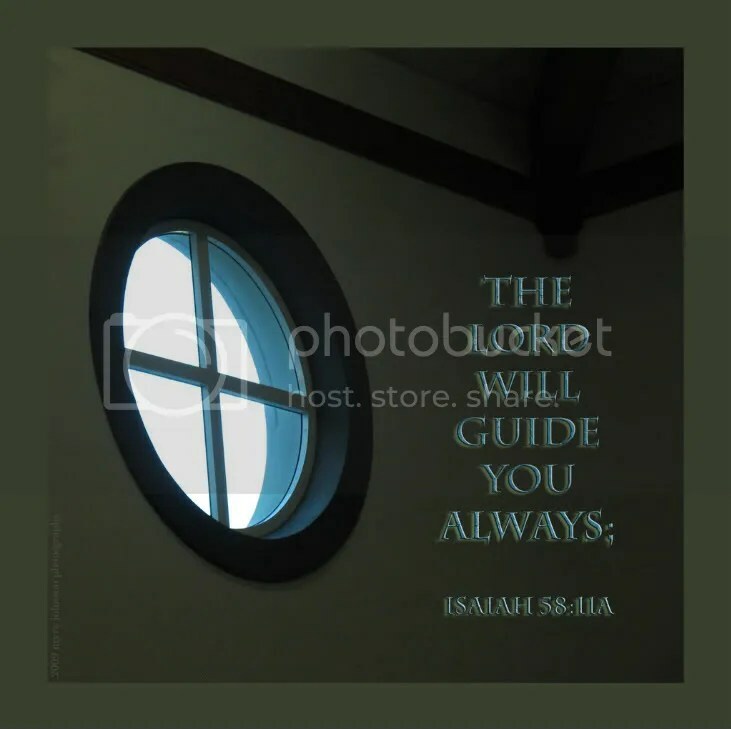 In Isaiah 58:11 we read, "The Lord will guide you always;" Though written for a people long ago, I believe it applies to us today. We must look to Him when we are confused or frustrated—tired or discouraged. He will guide us. What does a caring person do for someone that needs help? Well, it depends on which caring person you’re talking about. Suppose you are on a mission trip to a far off country with a group from your community. While you are in a local village seeking to help in some small way, you become ill. It is night time and there is no available way to transport you to a medical facility until the next morning. What would a caring person do for you? If a villager had a caring heart, he might say, "Friend! Come to my hut!" There you might find a small matt, constructed of leaves and straw placed on a dirt floor. "Please! Rest here!" might be his next instruction. You might receive a cup of water to drink, along with a kind smile. The villager would give what he had. If you became very ill while visiting in a city, a caring person would see that you were taken to a doctor. With the medical knowledge that the physician possessed, he would give you the only medicines available to him to treat your condition. Both the doctor and the friend would give what they had. The villager living in the grip of poverty is no less caring than the doctor with his limited wares of healing. One is more equipped to meet the need at hand, yet both are willing to share the burden of your illness in the only way possble for them. When you encounter people in your life that are in need, what do you do? Certainly, you would consider yourself to be caring. More than likely, you would give what you had, based upon your knowledge of the situation. Our very best is to offer what we know; to give less than that would not show genuine concern. What we have knowledge of could make all the difference in the world to someone in need. Our faith and hope in God–our fear of the Lord–and our knowledge of His Son, Jesus, is the foundation from which we base our actions, toward others and ourselves. Sharing the love of God through actions and words brings the message of eternal life to those eager to hear. What does a caring person do for someone that needs help? Well, it depends…. The magnificence of a sunset. My heart beating magnificently inside my chest. The gracefulness of a dolphin jumping effortlessly out from the waves. Thoughts being born within my brain to be effortlessly communicated outwardly with words and expression. Majestic mountains standing strong on the horizon. A dedicated friend standing strong alongside you in times of need. A universe filled with countless stars. A life filled with countless blessings. A coral bed swaying freely in the sea. A life transformed, living freely, redeemed. So great are the wonders of our God.